WELCOME TO “RED JOHN'S“ CLARE ISLAND. WE ARE SITUATED ON THE EXTREME COAST OF IRELAND‘S WILD ATLANTIC WAY. 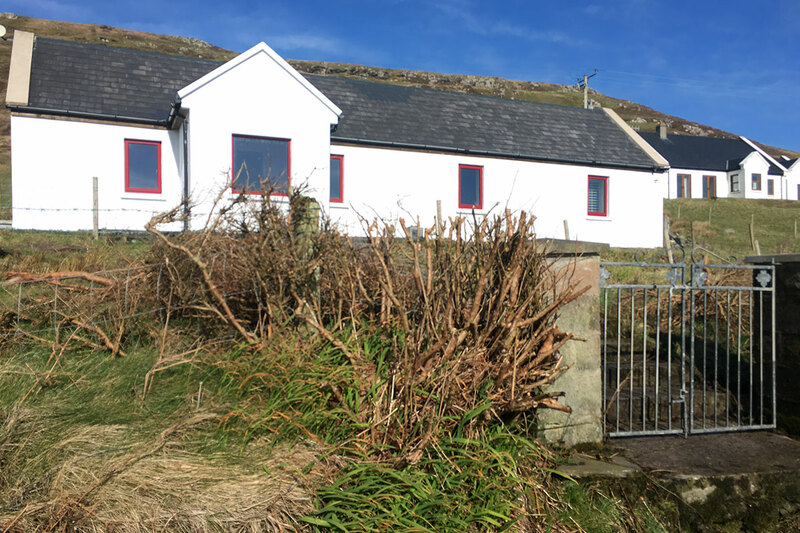 Red John's is a fully restored original Cottage, overlooking the sea on the Southwest of the island. It has 3 bedrooms, 2 bathrooms, a large living room with a big stove, a study ("DEN") with a small stove, a front porch and a kitchen/dining room. It's only 15 minutes walk to the pub, shop and quay area.